I was just cruising through Newsarama and noticed that during Matt Damon's numerous press engagements for his Jason Bourne movie stated that he wouldn't mind doing a super hero flick but he thought all the major ones were taken. However, one isn't and while Bradley Cooper was the original choice for the role he is all Guardians of the Galaxy'ed up and there might be a rule against being the major DC and Marvel character. Damon is one of the better actors of his generation, definitely is a big enough star to bring eyeballs to the project and with Ben his Buddy being Batman, would help them form their own lil Hollywood Super Friends. He being associated with the title would bring some excitement to it and might speed up it going into production. I think someone A-list or close to it is the way to go. I still think Green Lantern has a certain stink on it in the eyes of the general public and a fresh face that everyone knows will cure that instantly. If they want someone "A-list" this should be our guy right here. 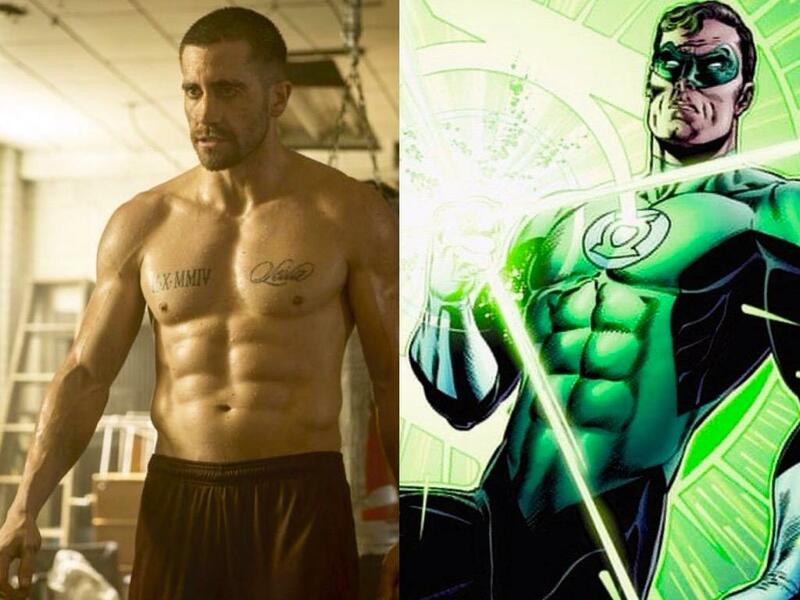 I'm honestly really surprised Gyllenhaal hasn't popped up in a superhero movie yet because I think he's a very talented actor who I think would fit well with the rest of the DCEU. And he would have alot of fun playing Hal and watching him in movies like Prince of Persia (which wasn't good but he was), Source Code, End of Watch, Prisoners and even Southpaw shows me he would make a good Hal. He may not be Cavill or Affleck big but he can definitely get into superhero shape. Prince of Persia is probably why he's not too thrilled with the idea of big budget movies anymore. 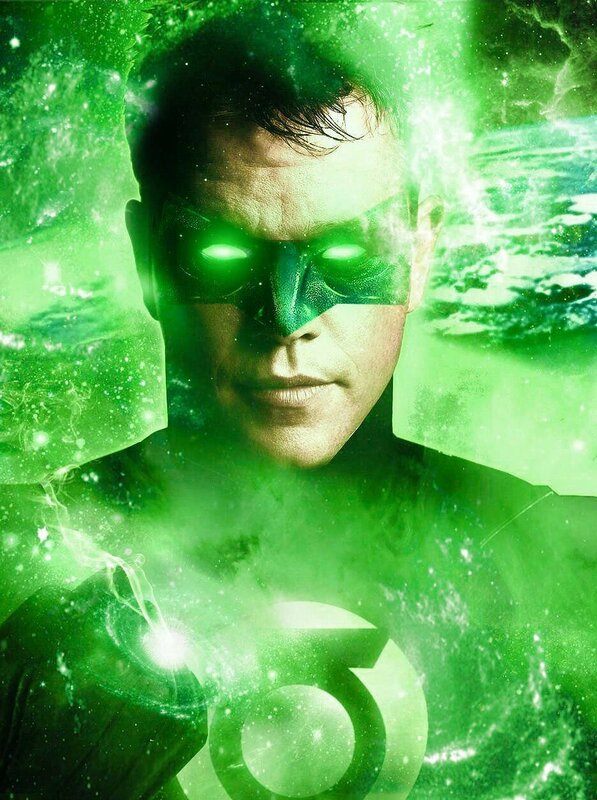 Matt Damon wouldn't be at the top of my list as Hal, but I'm open to the idea. Damon was great in The Martian. And I would agree an A-List celebrity is the way to go for Hal, if indeed it's Hal. 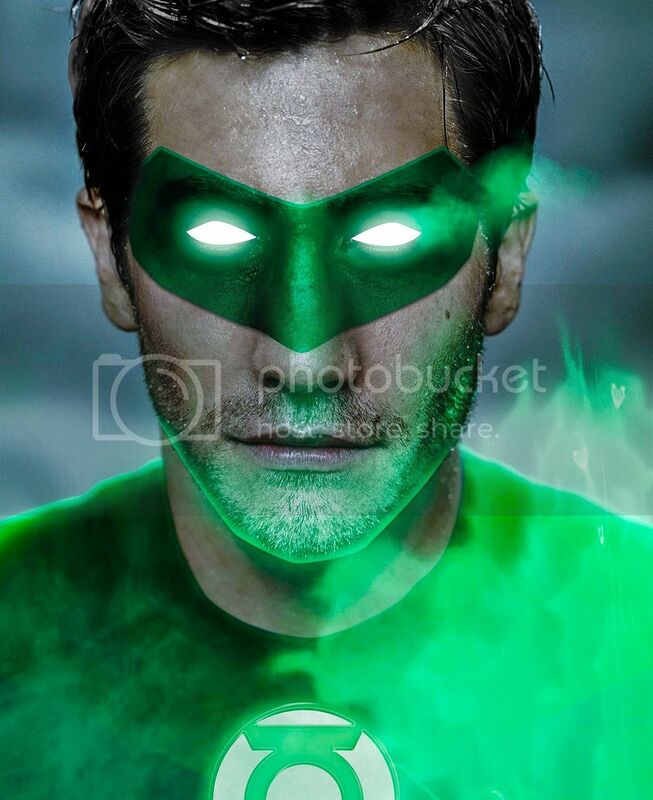 I hope they finally officially announce the Green Lantern film at SDCC and some concept art or even casting. So far, all we've gotten are logos. I don't like the idea of Batman being that much taller than Hal. That's a nice image, but it just reinforces my notion that Damon is not right for Hal. Good. We don't need him going around crusading for Power Ring control laws. 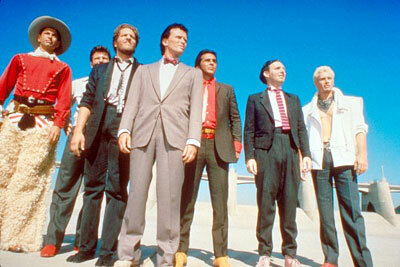 "A lot of talented people were involved and it didn't work. Maybe I should leave it alone..." he says with a smile. Maybe he should leave it alone. Doesn't sound like a definite no. And it doesn't sound like he wants nothing to do with it. Once upon a time he didn't want to continue doing Bourne movies... and look how that played out. Mamoa outright said he wasn't going to play Aquaman. He said it with a smile on his face too. I just want to know SOMETHING about GLC or the Shazam movie. How long are they gonna make us fans wait?!? Its not as if the movie starts filming next year, its still four years out from expected release, and even that isn't concrete. If anything they did a disservice to us by announcing it so far in advance. Damon is also too old. He may still look relatively young, but he would be about 50 before the GL Corps movie was released. I see your point, but RDJr was like 42 when the first Iron Man came out. Ben Affleck is 43. There's precedent. Affleck was cast specifically as an older, weary Batman. It made sense. Tony Stark also was not a super young kid when he became a hero, plus being in the armor makes it easier to hide the aging. And still, there is a huge difference in starting your super hero journey at 50 and 42. Damon is starting to actually show his age now too. If he was supposed to be an older Hal (Parallax or not), then maybe. But much like Nathan Fillion and the people that champion him, it's doubtful WB is going to cast someone that old for an ongoing (ideally) human role. But much like Nathan Fillion and the people that champion him, it's doubtful WB is going to cast someone that old for an ongoing (ideally) human role. Fillion is likable, but too old for the Hal I want. I want his character young and in his prime for a movie. Yeah, if they're going to make a series of them, but if there's only going to be one before another reboot or nothing, I'd love a seasoned Hal. In fact, I'm getting tired of so many kids in these superheroes movies. I just started watching the last Fantastic Four and these kids look like they would still be buying acne cream. Considering that WB wants to make Hal grizzled and old like Batman, Damon's age probably isn't considering isn't a problem. He's not gonna play the character anyway, so it's probably moot, but still. I've always thought James Marsden (Cyclops) could make a decent Hal and he's about the right age now for what they want. He's not a box-office star, but "WestWorld" has raised his profile and JLA and GLC are both ensembles, so Hal wouldn't have to carry either film. I would much rather Patrick Wilson. Not only did he play Nite Owl in Watchmen, but he also resembles Paul Newman, who Hal Jordan was modelled after. 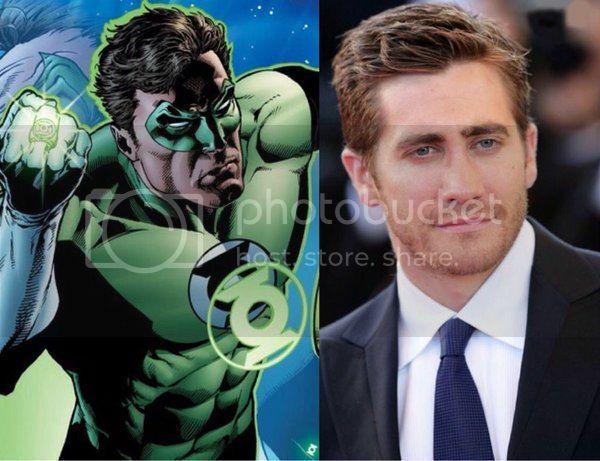 If WB wants to get a star for Hal I can't think of anyone better than Jake Gyllenhaal.